Contains a blend of organic acids and their salts, buffering agents, organic acid secreting probiotic strains of normal flora. 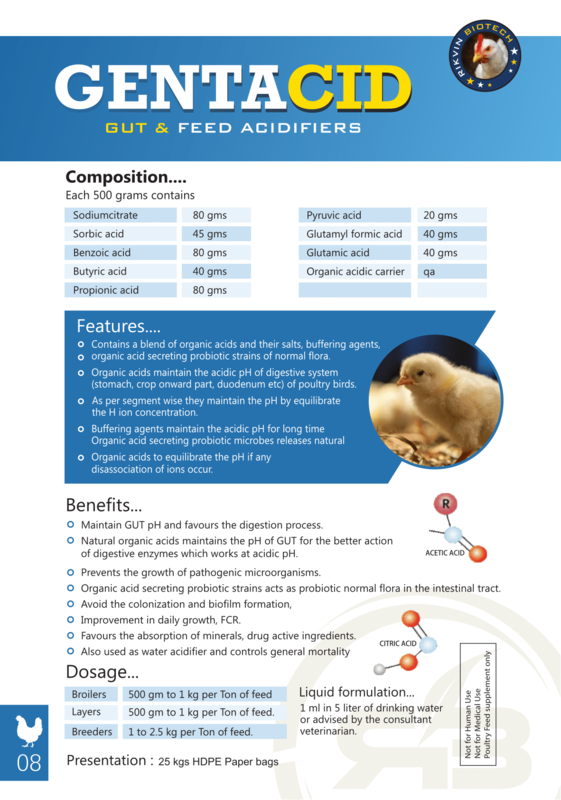 Organic acids maintain the acidic pH of digestive system (stomach, crop onward part, duodenum etc) of poultry birds. As per segment wise they maintain the pH by equilibrate the H ion concentration. 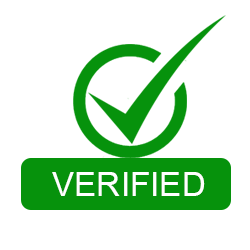 Buffering agents maintain the acidic pH for long time Organic acid secreting probiotic microbes releases natural. Organic acids to equilibrate the pH. Natural organic acids maintains the pH of GUT for the better action of digestive enzymes which works at acidic pH. Improvement in daily growth, FCR. 500 gm to 1 kg per Ton of feed. 1 to 2.5 kg per Ton of feed.